The Katy master-planned community of Cane Island will host an Evening with Bill Champlin, the soulful singer/keyboardist of the iconic jazz-pop band Chicago, on Saturday, November 19 in the Cane Island Amenity Village, 2100 Cane Island Parkway, starting at 7:30 p.m. Presented by Downunda Pools, the free concert will showcase the talents of the singer/songwriter best known for his role in the Chicago hits “Hard Habit to Break” and “Look Away.” Champlin, who spent 28 years with legendary band, also won a Grammy Award for Best Rhythm and Blues Song “After The Love Has Gone” made popular by Earth, Wind & Fire. 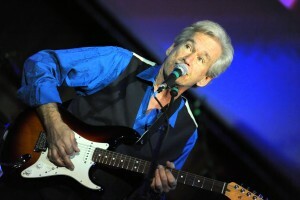 Champlin will be joined on stage by his wife Tamara, an emerging singer/songwriter in her own right. Houston’s David Ward Trio also will entertain guests before and after Champlin’s performance. The Cane Island Amenity Village will open at 6 p.m. Lawn chairs and blankets are welcome. To reach Cane Island, take the new Cane Island Parkway exit off Interstate 10 minutes west of the Grand Parkway. Head north on Cane Island Parkway and take the temporary detour into the community. Directions also can be found at www.CaneIsland.com.